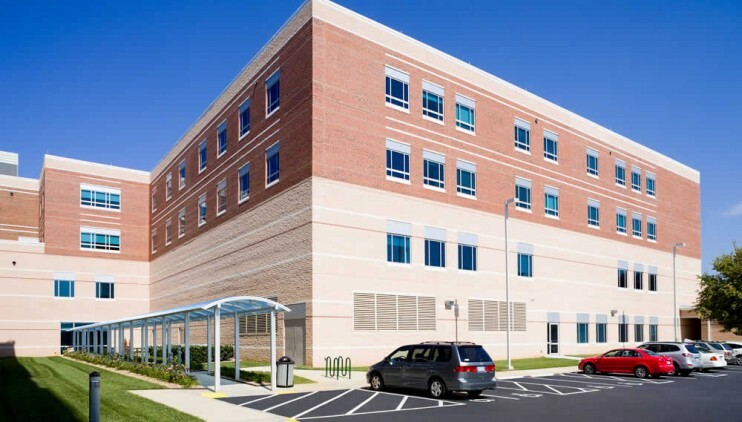 The recent vertical expansion at Novant Health Huntersville Medical Center was needed to help alleviate days where the census was up to 125 percent of capacity. 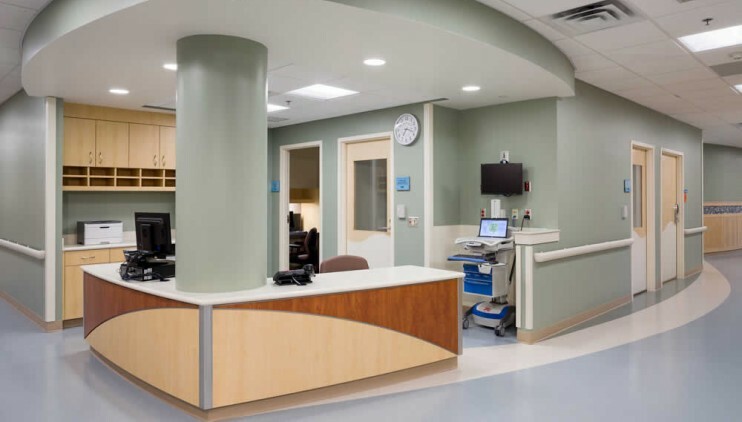 To efficiently add necessary, two floors were added over the existing operating room suite. The vertical expansion was designed and constructed with minimal impact to the operating room suite. 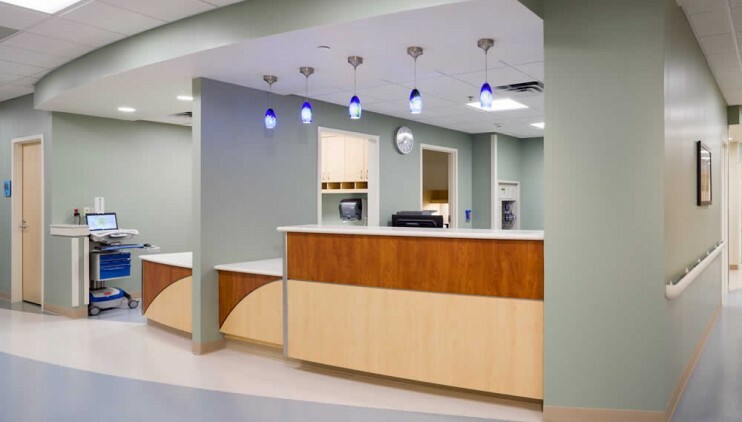 During design, McCulloch England Associates Architects worked to eliminate the need to access ceiling space above the existing operating rooms. The third floor serves as a post-partum unit for the existing women’s center. 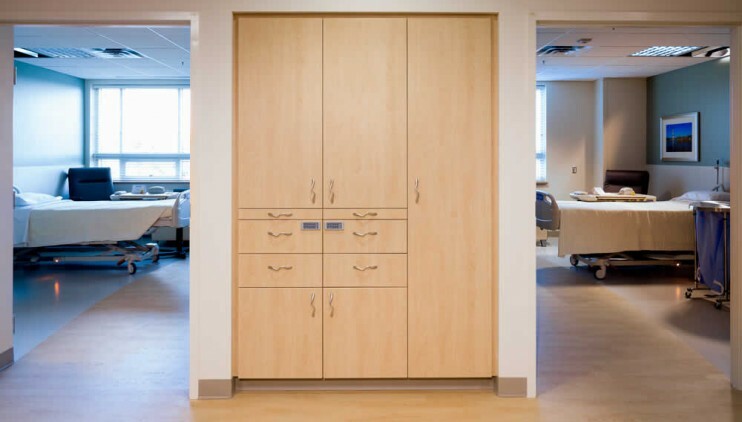 The existing LDRP rooms were changed to LDR’s to allow for the addition of 12 post-partum rooms, four observation rooms, a 12 bed well-baby nursery, and support services. In the future, the well-baby nursery can be relocated and an additional eight patient rooms can be added. 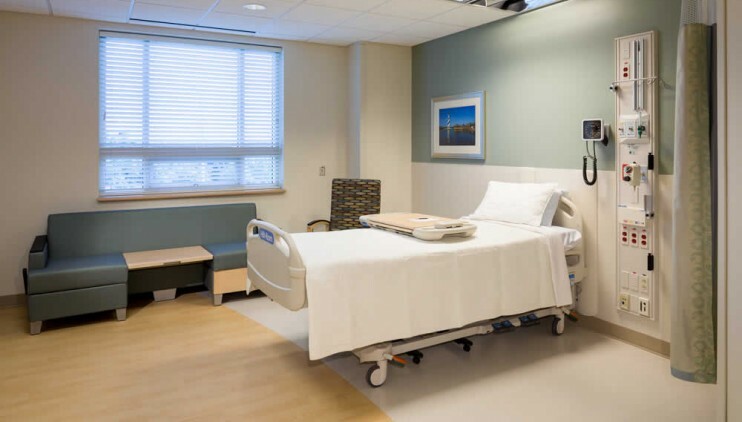 The second floor includes 16 med/surg beds, six observation rooms, support services, and room for an additional four patient rooms, should expansion be necessary. Mechanical services for the vertical expansion were located in a new mechanical space off the second floor. The new mechanical room bridges between the existing CEP and the new vertical expansion. This project received the 2012 ABC Eagle Award for healthcare projects in the $10-20 million range.